With Lalaloopsy being one of the hottest toys for little (and big) girls today, creative people also went beyond merely collecting these lovely dolls. I came across various blogs and websites that show what they have done with their dolls. Some customize them into whatever they can think of while others make beautiful clothing for them. 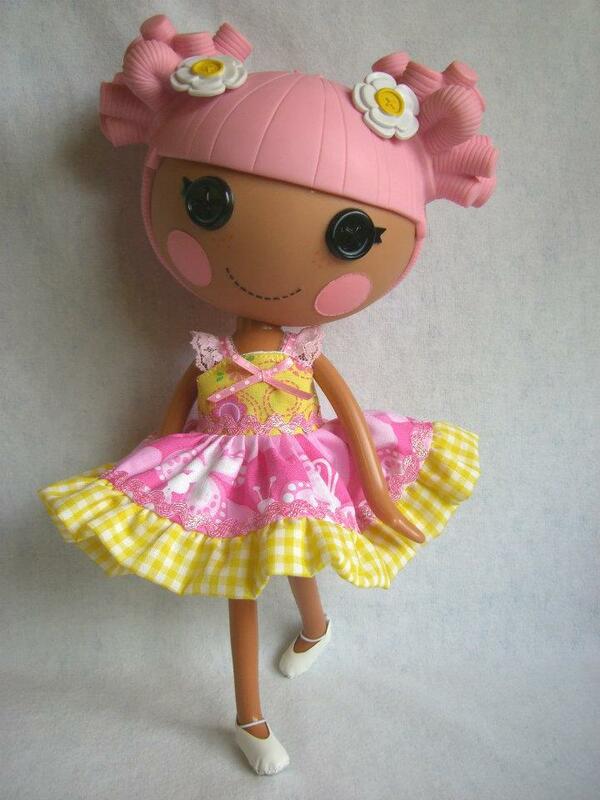 So, today, I will share to you the first ever Lalaloopsy clothes designs that I fell in love with. 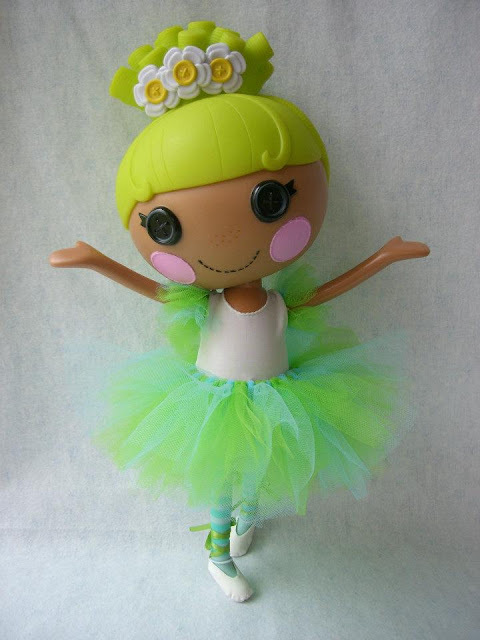 I so love the dresses and I find the tutu sets really cute. 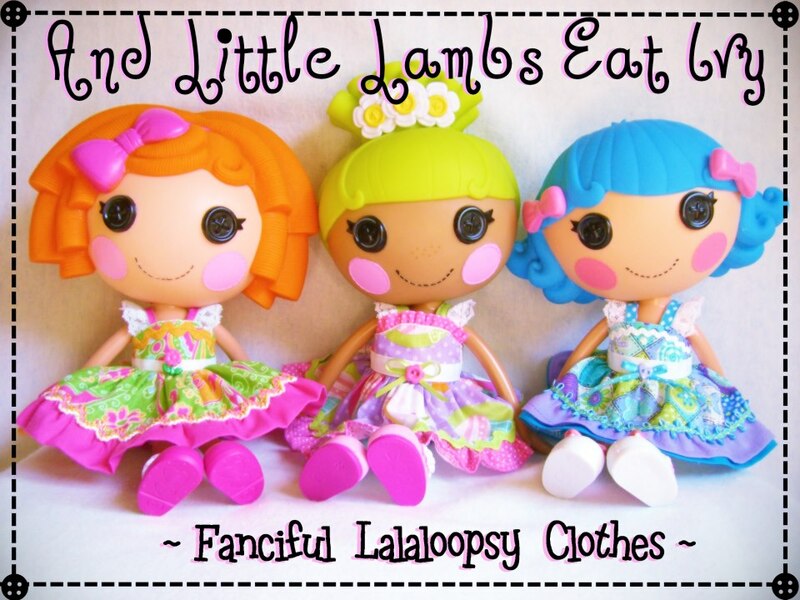 You will find lovely dresses from And Little Lambs Eat Ivy. 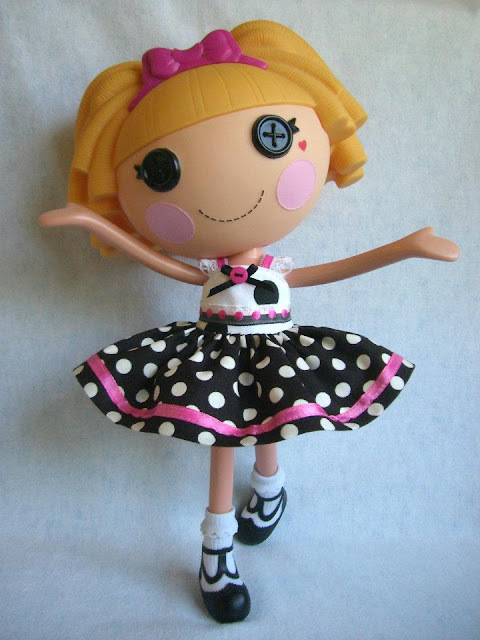 There are so many designs that you can choose from. 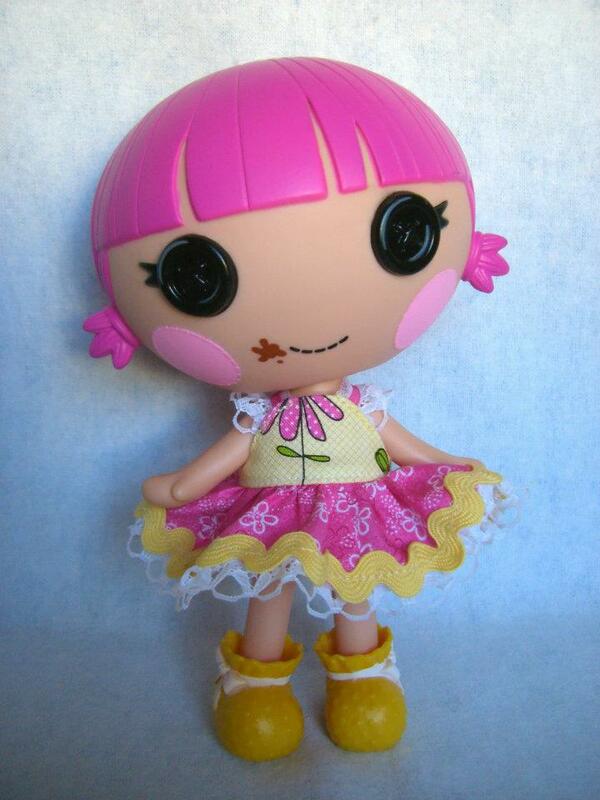 Seeing them makes me wanna grab some fabric and make one for my Lalaloopsy! But I do not have the time to do that at the moment. 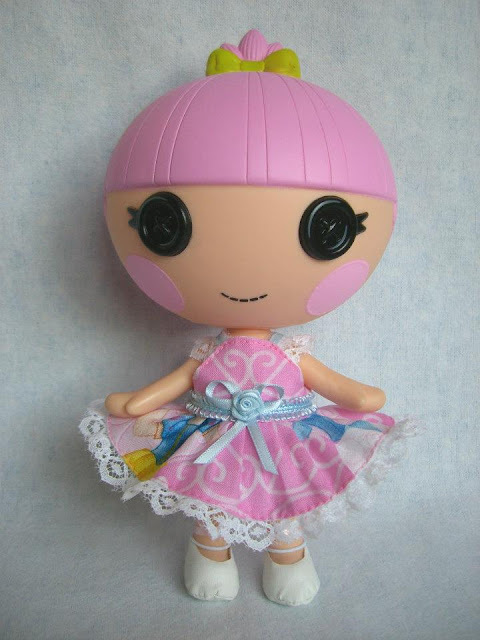 So, I just end up browsing into her creations and I honestly envy her Lalas for they can get whatever dresses they want. Rae Mandrick is behind all the gorgeous creations. 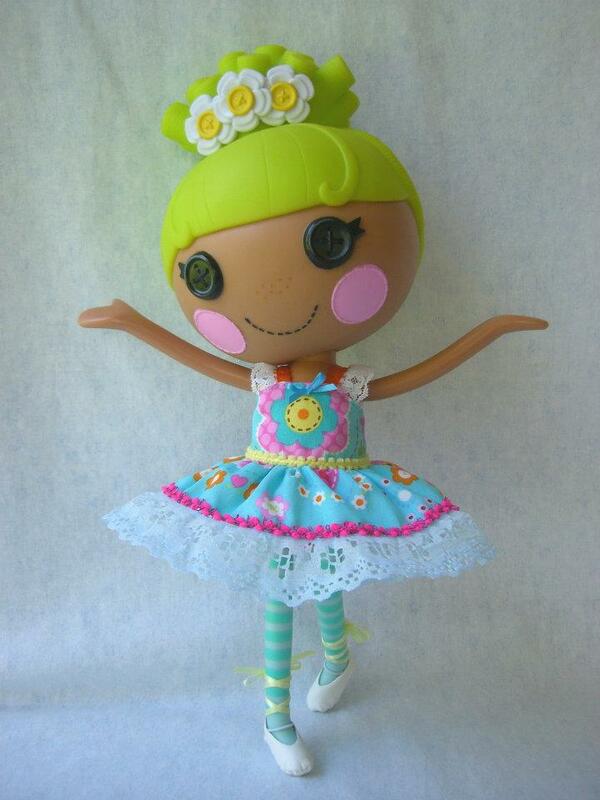 In her tweenties, she found the love in creating Lalaloopsy clothes. Her best teacher is her Mom who had a college degree in seamstress. Well, her mentor sure did a great job in teaching her sew. According to her, her mom started teaching "when she was old enough to reach the foot pedal". See? 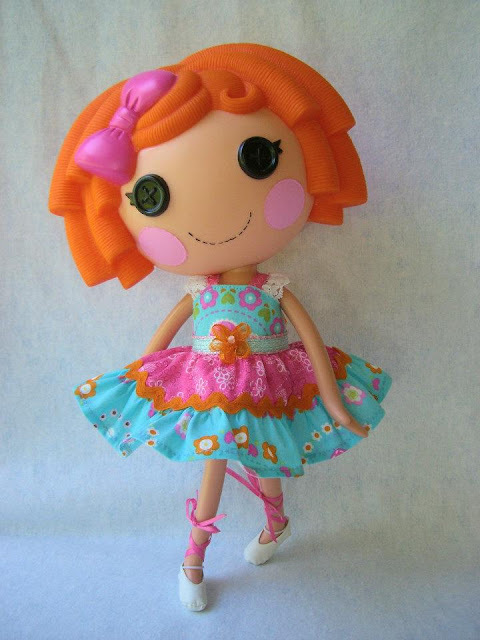 Just imagine how young Rae was when she first learned to sew! No wonder she is already so good today. 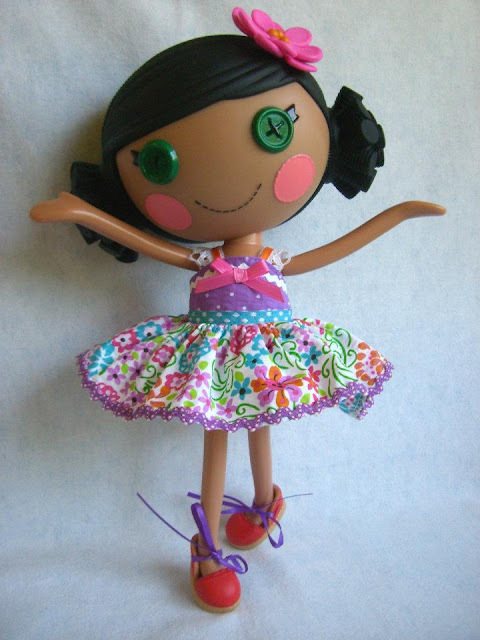 Rae always enjoyed having a creative outlet from painting, jewelry making, baking and just about anything. Well, there are really people who have so much love for art and would show their creativity in various ways. I was even glad to know that like me, Rae also love to go to stores to look around, not to buy stuff but to check if she could make her own stuff like the ones she see in stores. 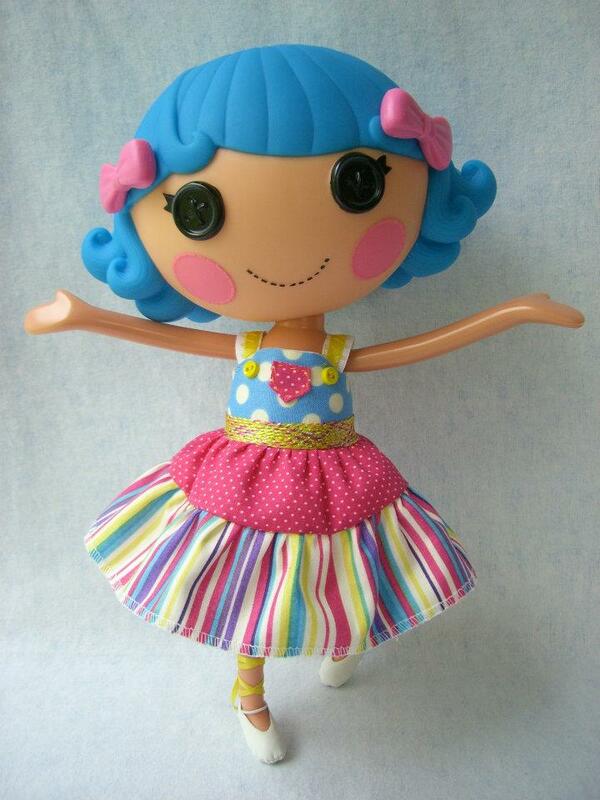 I couldn't agree more when Rae said that "it is so much fun to be able to see something handmade come together". I had a smile on my face while reading that message from Rae. 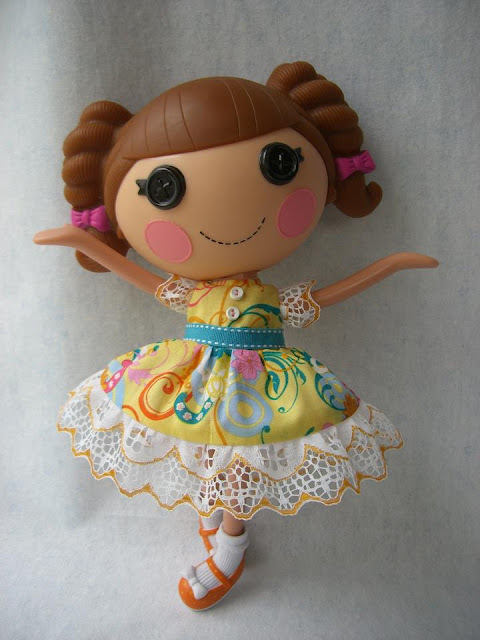 I could see myself in her since I also love making handmade stuff - just whatever that comes to my mind. After seeing these designs, you will surely agree with me that the And Little Lambs Eat Ivy Lalaloopsy clothes are indeed fanciful and beautiful. 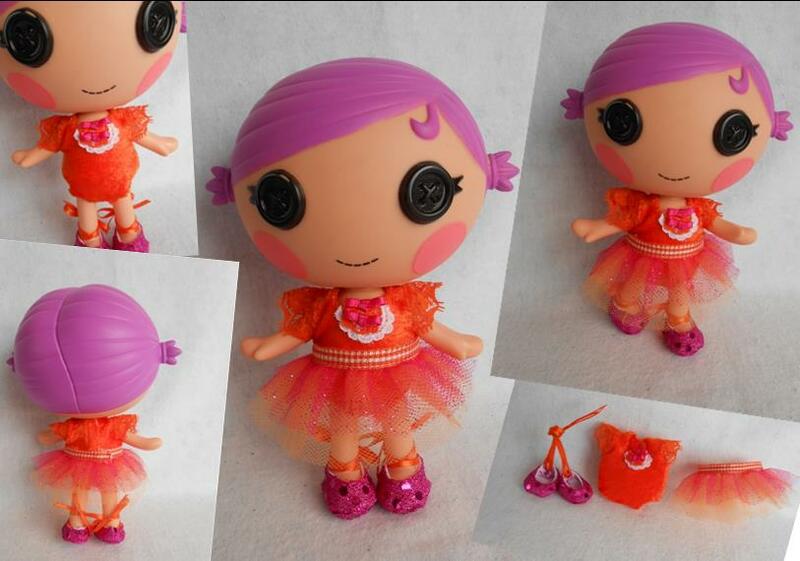 I know you want to get these clothes for your own dolls. Well, you can try to reach Rae. She can repeat designs for sold items as long as she still have the fabric. But you can also browse into items that are still available. There are still a bunch of lovely dresses and tutu sets. You can get these clothes anywhere you are in the world because she ships internationally. 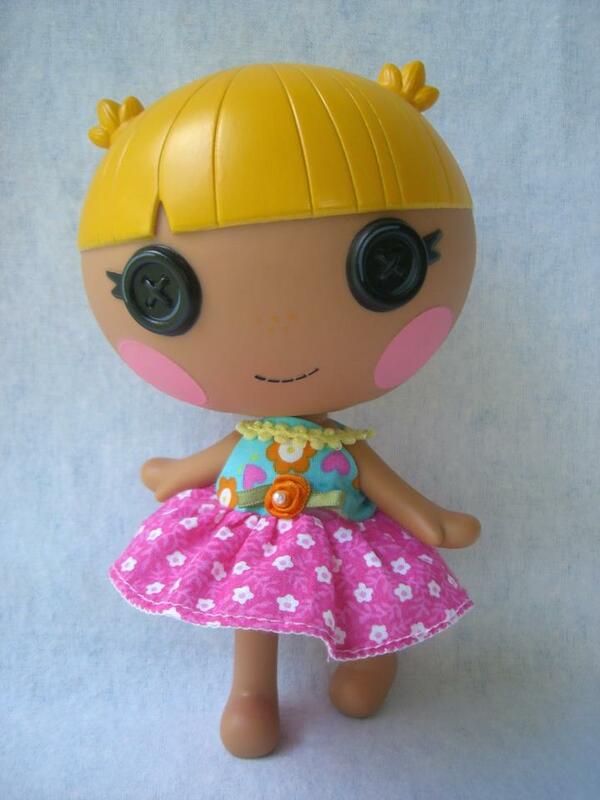 I feel blessed to have found such a perfect outlet in making Lalaloopsy doll clothes, it just warms my heart to know that one of my little dresses has put a smile on a child's face. That is so true. The smile on a child's face brings immeasurable joy to anyone. It is even more than a "Thank You". And Little Lambs Eat Ivy can make you and your little loves happy through the dresses she have made with love.